McClernon Villas – The Kitchen, Inc.
McClernon Villas is another a housing development helping meet one of our community’s most critical needs: affordable housing. The development is the result of collaboration between several organizations, including The Kitchen, Inc., Housing Plus, L.L.C. and the Missouri Housing Development Commission. 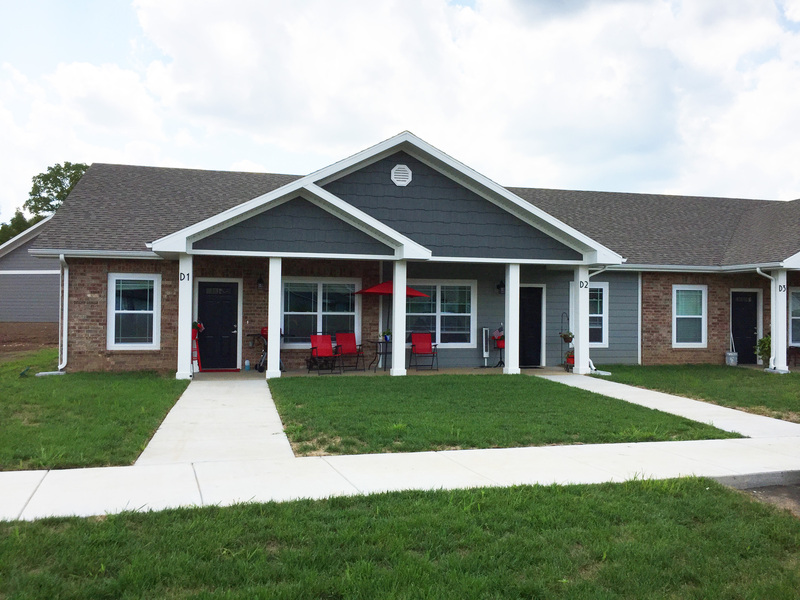 Residents began moving into McClernon Villas in late summer 2017. The development is designed as a 55+ community. McClernon Villas consists of 36 two-bedroom apartments with six units reserved for formerly homeless veterans and their families. Once completed, the development will also include a community center. McClernon Villas is located at 1320 E. McClernon St. in Springfield, MO. The addition of McClernon Villas brings The Kitchen, Inc.’s total inventory of affordable housing to 222 housing units. To find out if you qualify, contact McClernon Villas at (417) 402-9008.